If you’re looking for custom printed products and promotional products for your business or latest marketing campaign then you’ve come to the right place. South Coast Custom Printed Products has a reputation for the best quality and value for money when it comes to promotional merchandise featuring your branding or chosen design. WE CAN SUPPLY 1 OR A 100. NO MINIMUM BUY! We can print anything you want on our custom printed products. Whether it’s a loved one’s photo on a mug, a motivational quote on a drink bottle or your company slogan on a key ring, no job too big or too small. All you need to do is provide us with the photo, image or text, select the product or products you want it printed on and we do the rest. It’s that simple. We pride ourselves on our extensive range of affordable products all carefully selected from first rate suppliers around the globe. Add to this a commitment to the highest standard of customer service times, quick turnarounds and delivery to anywhere in Australia. Ditch the plastic drink bottle and go for one these stunning stainless steel water bottles. With plastic drink bottles getting so much bad press these days it’s easy to see why more and more people are switching to stainless steel. Everyone needs a drink bottle handy so why not personalise it with a favourite photo, image or text. Encourage your staff to drink more water, give your gym buddy a unique gift or show friends and family how much you care with a personalised drink bottle. We can wrap your favourite photo, image or text around these bottles, or add your logo and slogan to increase brand awareness. Available in white, stainless steel and silver with your choice of pop top and straw top. 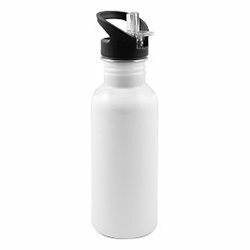 Send the kids to school with one of our unique drink bottles and they will never lose their drink bottle again. Choose from our popular designs for boys and girls including graffiti, kite, skateboard, music, owl, butterfly, flowers or make-up. Each design includes a space for your child’s name. These bottles are so hip your kids will be drinking more water than ever, before you know it! Choose from the following cool designs with space for a name running up the side of the bottle. Look great on any of our drink bottles! Or choose from the following cool designs with space for a name running across the bottle. Look great on any of our drink bottles! Who doesn’t love a cuppa? Wrap your favourite photos around these mugs, or add your logo and corporate message to increase brand awareness. Mugs make excellent gifts, whether professionally or personally. They are a unique, visually appealing and practical promotional idea that will be used daily … now that’s good marketing! Our quality porcelain white mugs come in standard 11oz (325ml) size. Personalised mugs are a fun way to let your friends and family see the people they love over their morning coffee. Photo mugs give your loved ones a gift they’ll appreciate every day and they make a perfect gift for birthdays, anniversaries, Christmas or other special occasions. And if you’ve wondered how to get your company slogan or brand values embedded in the minds of your employees and customers, printed mugs are a great way to reinforce your message and will put a smile on your face when you see them being used every day. So pick your mug, upload your photo or message and start creating your own personalised mugs today! For the ‘WOW’ factor! It looks like an ordinary white or black ceramic mug, but when the light dims it glows in the dark. 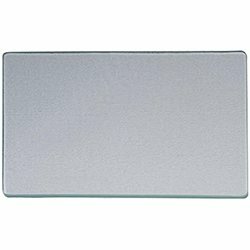 An entertaining and unique gift idea, the special luminous panel means your image will really stand out. The kids will love these for their night-time drink and they make a great novelty gift idea for friends and family. Perfect for images with a lot of lighter colours as these are what will glow in the dark. Pick your photo wisely as it is only the lighter parts of the photo that will glow. The photo or image needs to be rectangular in shape as the luminous panel is rectangular and needs to be completely covered by the image. Perfect for a cuppa on the go! Insulated to keep your coffee or tea hotter for longer, these stylish travel mugs are a great gift idea. Add your company logo and slogan and make this a great gift idea for your best customers, or give to staff so they can enjoy a coffee on the drive in to work. Or for friends and family, wrap your favourite photo around one and surprise them with a personalised and practical gift that won’t break your budget. Our Speciality mugs come in 6 different options. 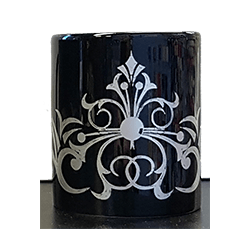 This elegant ceramic mug features a black thermal coating, so when you add hot water the photo slowly appears. As the mug cools, the image slowly fades and the mug turns black again. A wonderful gift idea and always a talking point. Magic fun for all the family – your chosen image appears every time you add hot water to your mug. This stylish mug is made from polymer so is non-breakable and ideal for children, camping, picnicking or outdoor use. These sleek and stylish 300ml stainless mugs will really highlight your special image or text and are insulated so your tea or coffee will stay hot longer. Handy for indoors or outdoors, theses mugs make a great gift for Dad – so why not give him a personalised surprise for his birthday, Fathers Day or Christmas. Whatever the occasion, a personalised mug is always welcomed so the next time you’re looking for a great gift idea for Christmas, birthday, fathers day, mothers day or just as a thank you to a special someone, why not give them an elegant personalised pearl mug. 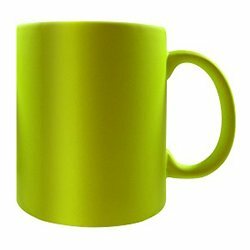 Yellow is the colour of sunshine so why not brighten up your day with this fabulous fluro yellow mug. The perfect gift for family or friends, personalise this mug with your own message or photo to make mornings magical. Your favourite drinkware will never get mixed up again with this fabulous fluro pink mug. Not only can you pick it out from a crowd of ordinary mugs, you can brighten up your day or that of your loved ones with a favourite pic or message. When the weather turns cold who doesn’t love to have a nice hot drink or mug of soup handy. Check out our stylish thermos or travel mug that can be personalised with your own photo, image or text. Imagine when the weather turns cold. Now you can take your hot soup or drinks with you in a stylish thermos or travel mug wrapped in your favourite photo or add a logo or corporate message for a memorable personal or professional gift. Our white steel thermos is a blank canvas, just waiting for you to get creative! Whether it’s a family photo or special moment, a snap of the dog or last year’s holiday, your favourite motivational text or company logo, we can print it on this functional thermos. A great gift idea for the colder months, a personalised thermos is practical and versatile and a perfect way to get your message out there. Whether you enjoy an occasional tipple, have your own home-bar or hang out in the world’s greatest man cave, we have a great range of customised products for your drinking pleasure. Available as classic or gold rim, these steins are a favourite for our customers who enjoy a nice cold beer at the end of the day. Make your stein truly unique by uploading your own image or text and let us do the rest. Or if you’re stuck for ideas on what to put on your stein, why not check out our huge range of design options. With over 170 designs to choose from, there’s sure to be one that will make your gift special! We find we are always misplacing our own bottle openers and that’s why we’ve put these together as set of 4, but they are also available as single units. Put your favourite photo on these quality bottle openers or company logo to add a distinctive touch. A great little stocking filler or inexpensive corporate promotional gift – these customised bottle openers will really stand out from the usual run of the mill gifts. Shop outside the box and grab some custom printed coasters for your family and friends. These coasters make great stocking fillers for Christmas, inexpensive gifts for family and friends all year round, and also look great printed with your company name and slogan. Let your imagination go wild and give a personal and fun gift today. They are available in round and square style, also singly and in sets of 4. Shot glasses make a memorable and unique gift to mark a special occasion. Hand them out at a 21st celebration, give to your wedding guests, or use them as an award for a hole in one – the list is endless. Personalised shot glasses are an ideal keepsake and just the right size for your personalised message. Enjoying your favourite bottle or can of beer has never been better! Our wrap around stubby holders fit most sizes of cans and bottles and will be a real talking point at your next party or get together. Whether it’s a memorable photo, an inspirational image or your favourite quote, we can make your stubby holder truly unique. Personalised stubby coolers make great gifts and here’s an idea – a personalised stubby cooler with a photo of the bride and groom make a wonderful and inexpensive thank you gift to your wedding guests after the event. If you’re looking for a great novelty gift that’s distinctive then look no further! We have a great range of fun stuff that can be customised with your personal photos, images or text. Keep your pens, markers and brushes tidy and within reach with our ceramic brush & pencil pot. Featuring a heavy base so it won’t tip over easily, this pot can be customised especially for you. Whether it’s your favourite photo, an image of a great piece of artwork, a motivational slogan or your business name, we can turn this pot from an ordinary to extra-ordinary just for you. Jigsaws have never been so much fun! Now you can create your own jigsaws for the whole family to enjoy. Don’t let those holiday snaps stay in your camera or on your computer, turn them into a jigsaw and let the kids put the pieces together. No holiday snaps? No worries – send us your family shots, a picture of Fido, a photo of your new car or whatever takes your fancy and we will turn it into your customised jigsaw in next to no time! Don’t forget to have a look at our designer jigsaws. For the ‘WOW’ factor! It looks like an ordinary white or black ceramic mug, but when the light dims it glows in the dark. An entertaining and unique gift idea, the special luminous panel means your image will really stand out. The kids will love these for their night-time drink and they make a great novelty gift idea for friends and family. Perfect for images with a lot lighter colours as these are what will glow in the dark. Pick your photo wisely as it is only the lighter parts of the photo that will glow. The photo or image needs to be rectangular in shape as the luminous panel is rectangular and needs to be completely covered by the image. A penny saved is a penny earned as Benjamin Franklin once said! Make it easy and fun for the kids to start their own savings with one of our custom printed money boxes. We can print your child’s photo on their own money box to make it uniquely theirs, or how about this idea – if they are saving for something special, we can put the image of what they are saving for on the money box, so they’ll always keep the end goal in mind! A promotional fridge magnet is an ideal little gadget to promote your brand and display your contact details, and as consumers it’s something that we all love to have handy so we can contact you quickly and easily when we need to.Fridge magnets are ideal for making promotional offers since they tend to stick around (so to speak) and with our latest technology printing equipment you get crystal clear image results. Available individually or in a set of 4, these handy fridge magnets mean you’ll never go searching for a bottle opener again. A fantastic gift for the best dad in the world or as a promotional item to display your brand, a bottle opener fridge magnet is functional and versatile. Sold individually these nifty round fridge magnets have a white surface so your image is displayed with super-clarity. Very popular for parents, couples and animal lovers, it’s the perfect surface to showcase your loved ones. Photo-quality imagery means you get amazing results without breaking your budget. Now you can display your special moments on the fridge so the memories are always close to you. We are a 100% Australian-owned business. Based on the NSW South Coast but supplying companies Australia-wide. Place an order online today or call us on 1300 139 419.